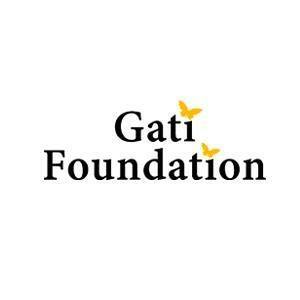 Gati Foundation, a Dehra Dun, Uttarakhand based organization, is a research and policy-oriented, evidence-based and “go-to-ground” think-tank. Gati has been working in the field of public health, natural resource management, social development, gender empowerment and urbanization. It believes in the doctrines of three A’s – analysis, advocacy and action – that lead to sustainable and tangible changes. The Foundation has pledged to adopt a participatory approach, engage with citizens, undertake policy research and facilitate better standards of governance. Being a public policy think tank, it is the responsibility of Gati to work on projects that are concerned with the public at large. Therefore, some of the prioritized working areas of the foundation are Solid Waste Management (SWM), Air Pollution, Water Management, Smart City Mission, Climate Change, Migration, Sanitation, Hygiene, Citizen Engagement, Traffic and Road Safety. Gati has been an active and vocal stakeholder on these subjects. Thus, through this internship program, it aims at planning the interventions that are innovative and sustainable in nature so as to overcome the systematic challenges existing in these sectors. Under the program, the students are required to understand policy level as well as the on-ground issues of these sectors. 2. Carrying out field research and interviews on the allotted topic. 3. Creating content for Social Media Accounts of the foundation. 4. Organizing community outreach events for the foundation like seminars, workshops etc. 5. Managing Website and other digital platforms of the foundation. 1. Must be fluent in Hindi and English. 2. Must be willing to speak in front of the camera. 3. Must be willing to work on field and travel to places. 4. Must have good knowledge about various social media and digital forums. 5. Must possess excellent communication skills. 6. Must have good research skills. 7. Must know how to click photos and videos.